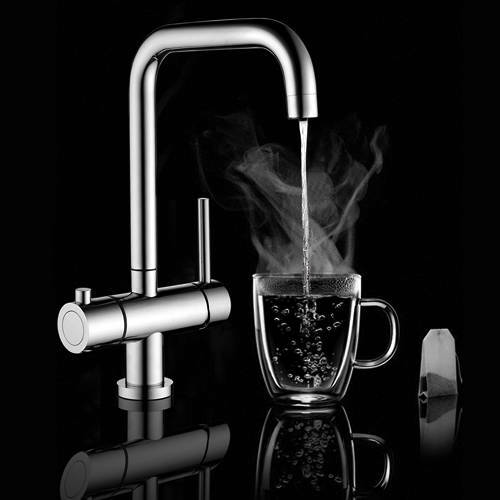 Hydra > 3 in 1 Boiling Water Kitchen Tap (Hot, Cold & Filtered Boiling). 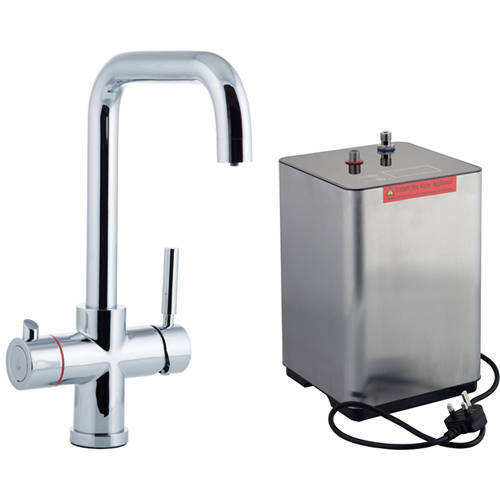 Hydra 3 in 1 Instant 98 °C boiling hot water kitchen tap in chrome with under counter boiler unit. Time to bin your old kettle! This tap is designed to provide instant 98°C boiling hot water. 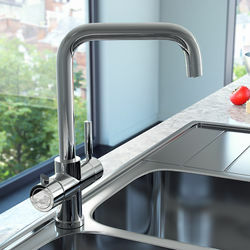 Tri Flow: standard mixed hot, cold and filtered boiling water in one tap (3 in 1). Child safety features and spring lock handle. For added safety tap is always cool to the touch. 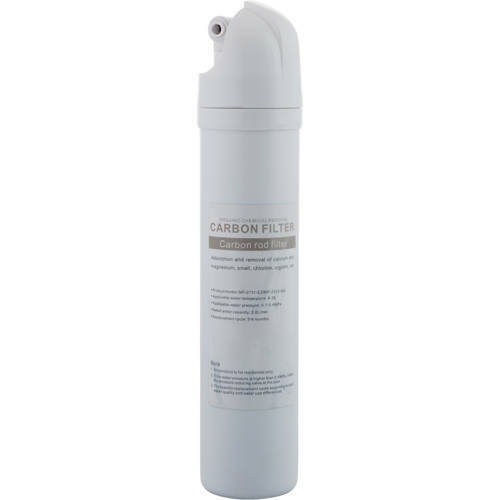 Carbon filter included to remove calcium, magnesium, odours and dirt. Suitable for making Tea, Coffee and general beverages (10 cups ready). Swivel spout with lever handle. 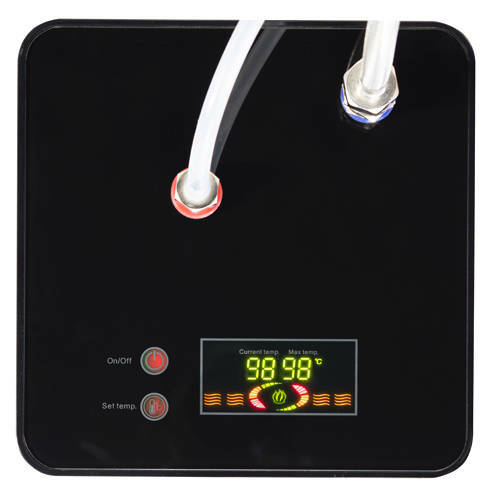 Digital display with touch screen control. Adjustable temperature control: 78°C to 98°C. Un-vented system mean no extra pipework is required and saves you water. Built in float sensor avoids any damage. Brushed stainless steel tank with smoked glass top. Overheat stat for added safety. Highly insulated tank to retain water heat and minimise running costs. 5 Year warranty: Hydra give a 5 year warranty on this tap. 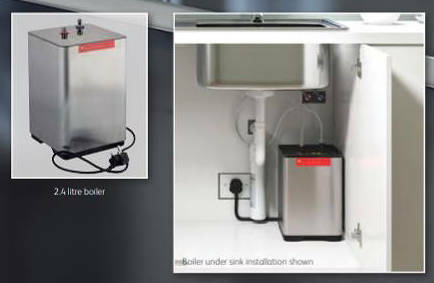 2 Year warranty: Hydra give a 2 year warranty on this water boiler.